What a great start of the year! Right at the beginning of 2018, TU Delft celebrated its 176th birthday and combined the Dies Natalis event with an Open Science Symposium – thus seizing an opportunity to put openness firmly centre stage. This was also a way to pay homage to our former Rector Magnificus, Karel Luyben, who is seen as the godfather and a big supporter of Open Science at TU Delft. 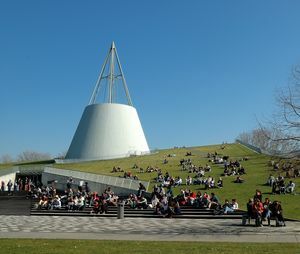 TU Delft Library has initiated a process to get a better understanding of the ideas and needs regarding open source software at TU Delft. One aspect of the initiative has been a round of consultations with selected individuals at the university faculty and support departments, who have shown an interest in open source software. Another initiative is a series of sandbox sessions, open to all who want to contribute to the dialogue to bring together a community with the purpose of engaging on open source software. "We are in the midst of a cultural revolution"
With the words “And we don’t know where it will take us” started Rom Mudde, the newly appointed Vice Rector Magnificus / Vice President Education the Open education Seminar on 5th of March. Read here the summary of this great day.